Jason is a 37-year-old father who was diagnosed with stage four liver disease (cirrhosis) caused by NASH (Nonalcoholic Steatohepatitis). He is in need of a life-saving liver transplant and has been listed since August 2015 with the University of Utah transplant team in Salt Lake City. He is getting progressively worse and as of two weeks ago, Jason was one point away from reaching a MELD score of 35, which would place him high on the list for transplant. Jason is a loving father to his 10-year-old son Dayton and has been married to Ashli, his best friend and the love of his life, for over six years. He and his family are looking forward to life post-transplant and to a long and healthy life together. This transplant will save his life, but it is also very expensive. 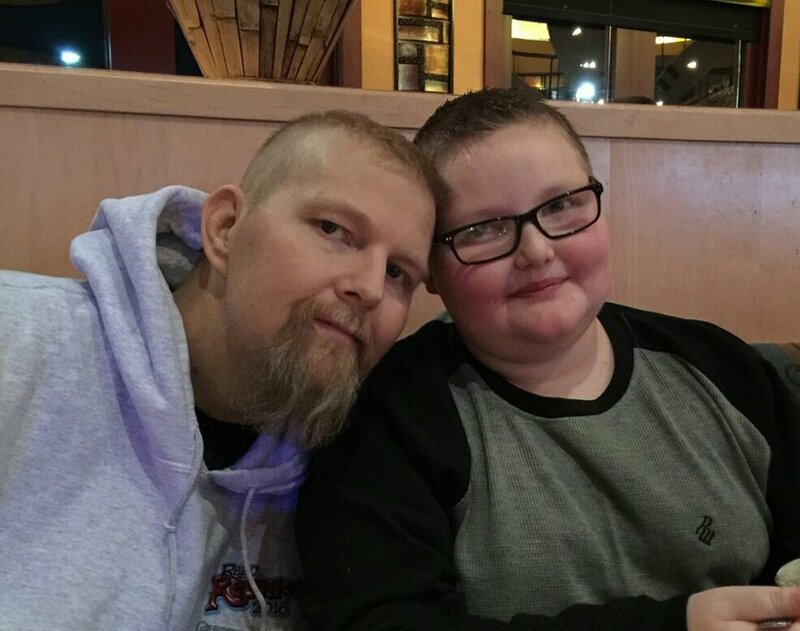 Once Jason gets his transplant, he will need to live in Salt Lake City near the hospital for up to two months in order to go in for follow-up appointments and blood work three times per week. Along with finding temporary housing, there will be many other financial burdens associated with transplantation that insurance will not cover, including co-pays, doctors’ appointments, tests, and medication. In order to help with these expenses, a fundraising campaign in Jason’s honor has been established with Help Hope Live. To make a tax-deductible donation, click Donate Now. Jason had a successful liver transplant August 8th, 2016. With any surgery there can be risk of complications. Jason went into renal failure and is now in need of a kidney transplant. He is on dialysis three days a week and also has paralysis of the stomach so it’s very difficult to eat. Any donation to help with medical bills and expensive medications that insurance won’t cover as well as housing in Utah post-transplant would be greatly appreciated! Anyone interested in donating a kidney to him are urged to visit uofulivingdonor.org to fill out a questionairre for evaluation. Jason got his liver transplant yesterday, 8/8/16!!!! After being admitted to the hospital in Boise back on the 26th of July, he rapidly went into kidney failure and was life flight back to SLC to the University of Utah Hospital. They got his infection cleared up (sepsis) and stabilized his kidneys as best as they could and found him a liver. His first words after waking up were, “I did it” and gave two thumbs up! Now he is on a long road to recovery. Thank you all for the love and support! Yesterday morning Jason was admitted to St Alphonsus in Boise for sepsis in his blood. Overnight, he went into kidney failure, had a stint inserted in the right side of his neck and was put on emergency dialysis for three hours. He was then rushed to Salt Lake City by way of Life Flight and admitted to the Surgical ICU at the University of Utah. As of yesterday, Jason is at a MELD score of 34. When he reaches a 35 he will be competitive for a liver. When that happens, they will call us when they want him in SLC and we will have 6 hours to get there. He is in good spirits and takes his medication on time everyday. The doctors told him to keep moving and continue to do what he loves everyday as they want to keep him mobilized and keep the blood flowing. He does tire easily and naps a lot. He has his good and bad days but he deals with them as they come. Thank you to everyone for all your support! Sending healing thoughts and prayers your way! Don't give up Baby brother, it's a long road but you have a lot to fight for. Keep strong!! My prayers love and hugs are with you both. Always thinking of you, and hoping for positivity, a peaceful heart, and serenity of spirit. I think of you everyday and I know that you and Ash are going to have a long, happy life. Love you! I love you Jason, keep your head up. You are tough and ill always be here for you !